A few years ago I retired from the corporate workplace. What's that you say? I look too young to be retired? Well, that's mighty kind of you, thanks. Ahhh, flattery. It always makes my day. Where was I? Oh yeah, work. So I retired from a big job that required lots of hard work and responsibility and decided to be a freelancer - although I had no idea what that really meant. I set about researching freelance opportunities and started a fledgling writing career. I'd hack out corporate communications copy, sales brochures and annual reports all day long; mostly for companies I had relationships with from my previous jobs. Hey, it's a living. But I still didn't know how to develop a 'real' freelance writing career. In the meantime, I started blogging. Now I'm old school (another age reference? really?!) and didn't know nuthin about no blogging. I jumped in anyway and wrote some pitiful posts. 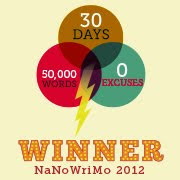 Wavering somewhere between online journaling and mindless drivel, I chugged along. I needed a place to be creative so I kept at it. Feeling a little more confident and realizing I needed a niche, I began a blog about my pets. People started to read it. I started to like it. I'm a crazy, diehard animal lover so it fit. Then an editor at a corporate dog food blog started reading, one thing led to another, and now I blog for them. Real work as a freelancer! A few more goodies have come my way and I am eternally grateful. I plan to work harder and keep growing. This post is in participation with the Group Blogging Experience, and this week’s topic is work. If you want to blog with us, visit the GBE2 Facebook page and request to join the group. Everyone is welcome. You are far too young for age references! Freelancing is awesome and really awesome if someone pays you! lol I know a lot of freelancers that think it's supposed to be free, not lucrative. Love your stuff. Do you know of any good books on free-lancing and article writing? Excellent. Dad's a full time consulting civil engineer. He's 82. His motto? Life is too long not to love what you do. I agree. Great post. Good for you! I left the corporate world about three years ago and started working on my fiction. Started a blog to share poetry and essays. Have really enjoyed both. There is life after work. 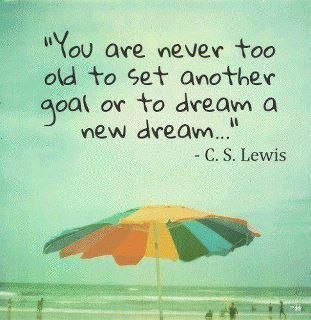 Love it, yes- keep dreaming and growing. great quote, and story. I didn't know you landed a job with a dog food blog, that's awesome Langley. Fabulous! Hopefully I will have as much success as you!Congrats! Thanks Langley, I spend every day thinking I'm too old to do this, but I was too crazy to stay in law. Great post. A very inspiring post! Wonderful to hear how successful your change of career has been, and you are now living your dream of freelancing! It is a fun life we lead is it not? I am very glad to be freelancing and spending more time with my wife and girls. Great post my friend! I really love the quote. And glad that you love writing about pets!! I love to read those posts! Cheers, Jenn. Being able to make a living doing what you love--that's perfection. I'm glad you've been able to make the transition, Langley! I wish I could retire. If I did, I'd have posted on your blog a lot sooner. Hey Langley! Thanks for joining the A to Z Challenge. I'm one of the co-hosts, so let me know if you have any questions. Be sure to place the A to Z badge in your sidebar as well. Thank you! That is so wonderful that you are able to make a descent amount of money blogging. And yes - you definitely look too young to retire! Heya, here via A to Z. Looking forward to your posts. Hi Langley, are you going ahead with your A-Z posts? nice post. found you on a to z. will defintiely be back to read more! I just thought I would stop by to say I miss reading your posts!! I hope you are doing well!! Great post. You have a smooth writing style. I love animals too! Thanks for posting.